Christo Maritz, ‘a Grade 9 pupil designed the logo in 1987. Sun and light emphasise the message of the motto “Sapientia et Intellegentia” which means wisdom and insight, a Biblical quotation used at the very first gathering of pupils and staff, in January 1986. The PV monogram and emblem, used on our school jersey and on our sport and cultural attire, was inspired by the idea to find a symbol which was less formal than the school badge, yet smart enough to be a brand emblem we could all be proud of. The headmaster suggested that we could use the school’s PV initials and create something new. Mr Francois Visser, the senior Art teacher, came up with the (HPV) sign which was immediately embraced by scholars, parents and staff. The learner council was the first to use this new emblem on the school jersey. 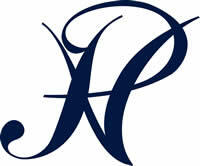 Very soon we all proudly started using and wearing this beautiful monogram.